February is a busy month. Don’t miss out, mark your calendars now. 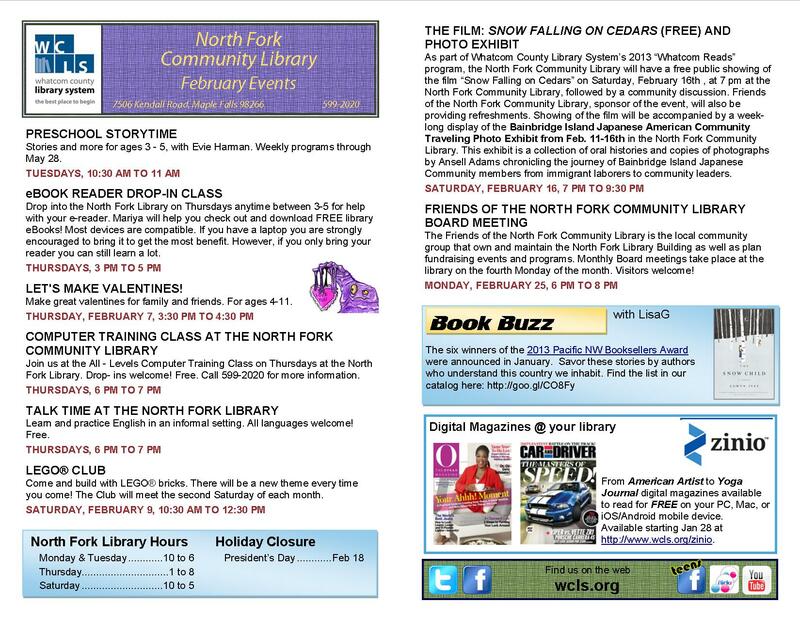 This entry was posted in Library Events and tagged Board Meeting, lego bricks, lego club, Make Valentines, North Fork Community Library, Preschool Storytime, Talk Time, whatcom county library system. Bookmark the permalink.